Francine in Orly Field in France, 1945. 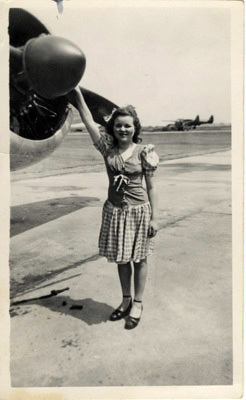 She worked as a file clerk for the American military offices at the airfield. Half of the airfield was still civilian.